Salaam Middle Eastern Music Ensemble. 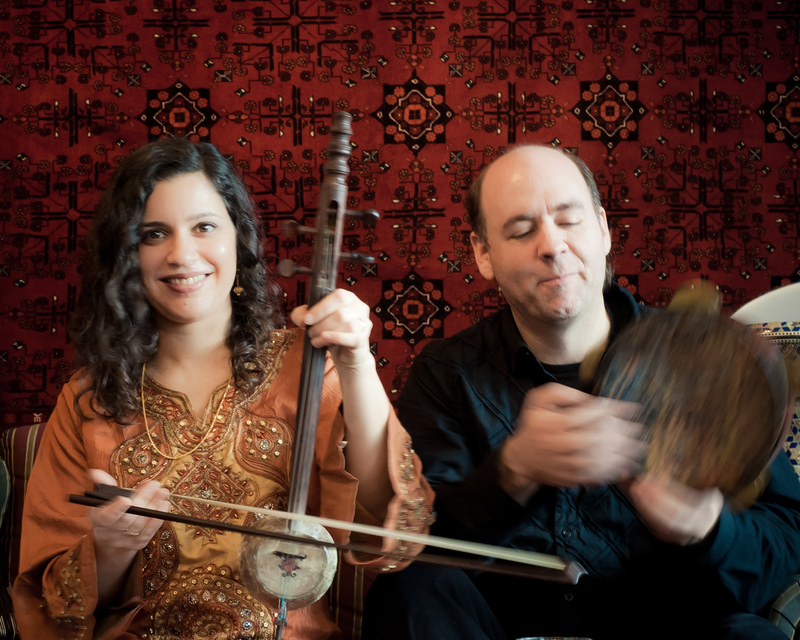 Salaam has delighted audiences for years with its expansive mix of traditional and original Middle Eastern music. Exquisitely rendered melodies are woven with stories and musings, taking the listener on a musical journey. Their sound, while deeply rooted in maqam and entrancing Middle Eastern rhythms, is infused with the band's fresh and innovative interpretations. They have performed throughout the US, recorded seven albums, and have been interviewed and fetured on NPR's All Things Considered. Salaam, whose name means Peace, is a musical ambassador for peaceful coexistence. Salaam on All Things Considered Listen to Guy Raz's interview with Dena El Saffar on NPR's Weekend All Things Considered. Since its founding in 1993, Salaam members have performed with international artists including Grammy Award winner, Youssou N’Dour, Real World recording artists The Master Musicians of Jajouka, Smithsonian recording artist Rahim AlHaj, Moroccan Gnawa musician Hassan Hakmoun, Iraqi Maqam masters Hamid El-Saadi and Farida, Turkish multi-instrumentalist Emin S. Sağbaş, Egyptian trumpeter Sami El-Bably, Azerbaijani kemanche player Munis Sharifov and others.